When buying furniture for your home, it is important to ensure that it fits well with everything else. Every detail should fit naturally to the rest of the room. Choosing the right company, for instance, will help you come up with bespoke wardrobes that will be made with the exact material, shelves or drawers that you like. 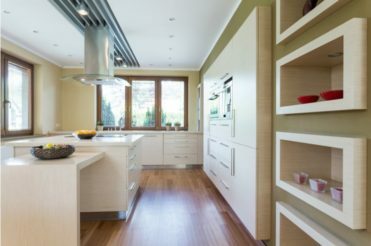 Once your bespoke fitted furniture is in your home, it may be difficult to change. Getting your bespoke furniture is a major commitment that takes a lot of planning. The following are some steps to follow when planning for it. Before you get your bespoke fitted furniture, do some research to find the right provider. Finding the right people to do the job is the most important part of the process. The right providers will ensure that you get exactly what you want. Ask the maker for a home visit. Most of them will offer it for free. During the visit, they will give you their own opinions. A design consultant may take a look at your home to ensure that you make the right choice. Ask them to show you pics of their previous works to determine whether they are the right choice for you. You may also show them images of whatever you want and ask if they can deliver. Should You Go to A Bespoke Company? When looking for your bespoke fitted furniture, you need to decide whether you will get it from a carpenter or a bespoke company. A bespoke company may be a better option than a carpentry which does not specialise in bespoke furniture. However, carpenters can be great too. When you make your choice, ask the following questions. Do they make and paint the furniture on-site? Can they sow you samples of their job? What is the duration for installation? What is their lead time? What types of material do they use? Your bespoke furniture company puts a lot of effort in making your furniture. They draw pictures starting with rough to detailed drawings until reaching the final design. They use 3D drawings to give you a clear impression of what to expect. If you are looking for bespoke wardrobes in Dublin or other bespoke fitted furniture for your living room, bathroom, or kitchen, contact A.D. Woodcraft Custom Carpentry. The company focuses on providing you with excellent customer care services and impressive quality. If you are unsure, they can suggest bespoke fitted furniture to suit the needs of your home.